SPIRIT OF DETROIT RED WINGS JERSEY photo picture art print poster for sale. 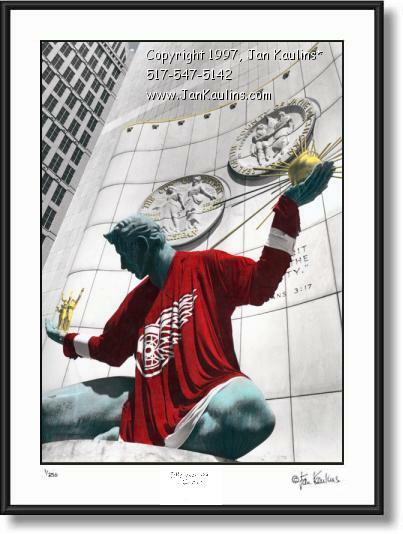 This DETROIT RED WINGS JERSEY SPIRIT OF DETROIT photo picture art print for sale is of the Iconic Detroit Spirit of Detroit proudly displaying the Detroit Red Wings during one of the Red Wings playoffs. It is a fine tribute to one of the greatest teams in the NHL and many times Stanley Cup champs!